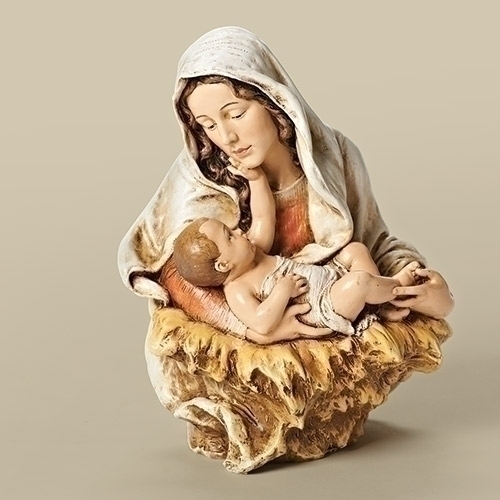 6.75" A Child's Touch Madonna & Child Bust from the Joseph Studio Collection. Resin/Stone Mix. Gift Boxed.